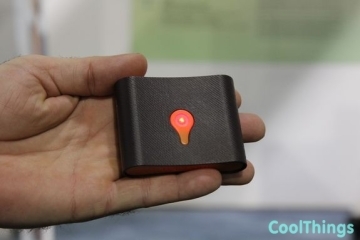 Gaming was a huge part of CES 2019, with the show floor giving us a good glimpse of what to expect in the gaming space for the next twelve months. It’s especially exciting for PC gamers, with a whole lot of awesome gear slated to come their way, although even the most diehard console players can probably discover a few things here they’re going to want to add to their own gaming setups. Nvidia introduced the entry-level graphics card for their new-gen 20-series at the show this year, which boasts the same ray tracing technology found in its more powerful siblings. 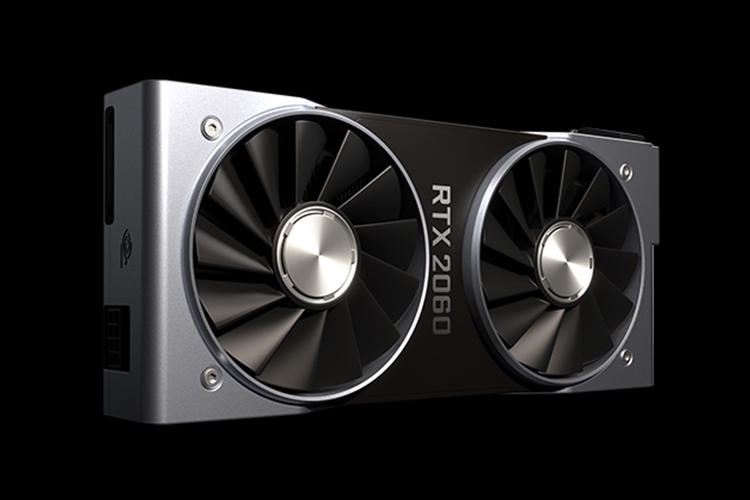 According to the company, the new RTX 2060 will be a GPU option (along with the RTX 2070 and RTX 2080) for the 40 or so laptop models that will ship with the company’s graphics cards throughout the year. A little less than half of those machines, by the way, will come with the Max-Q design, which sacrifices a little performance in exchange for a slim and lightweight build. Easily one of our favorite laptops from the show, the ROG Mothership brings an exciting new form factor to portable gaming machines, with its computing hardware housed right behind the monitor instead of under the keyboard. The unique design makes it possible to snap the 17-inch monitor and keyboard sections apart, while a kickstand in the back lets you stand it on a table like an all-in-one gaming PC. The keyboard can then be plugged into the monitor via USB-C or paired wirelessly over Bluetooth. According to ASUS, the form factor doesn’t just make it easier to play on the laptop (since you can position the monitor at any distance), it also enables better thermals, since air can pass through freely from its back and sides. In a time when gaming laptops are getting ever slimmer and lighter, it’s weird to single out a behemoth of a machine as being one of the most exciting gaming notebooks we saw at CES. Yet, that’s definitely the case with the Alienware Area 51m, a laptop that you can open up and upgrade with the ease of a desktop PC. No, we’re not just talking about swapping in a new battery, but changing every core component of the machine, from replacing the CPU and upgrading the GPU to adding more RAM and increasing the storage, the same way people have been doing with desktops in the last three decades. 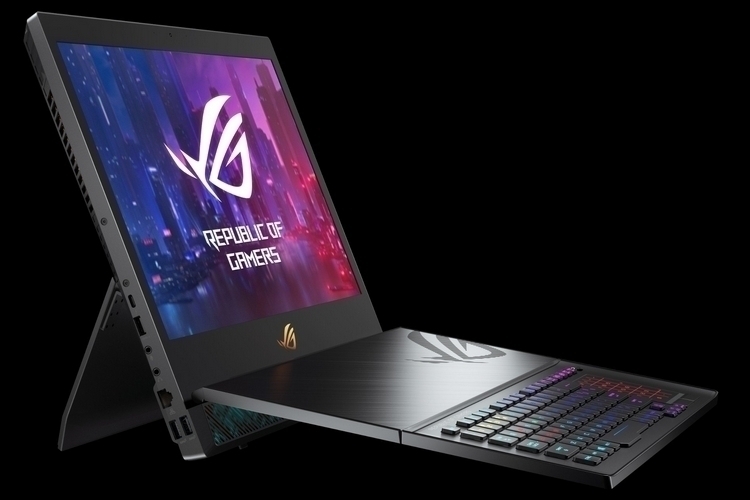 It comes with two 17.5-inch display options, either 60Hz or 144Hz, with four RAM slots, two SSD slots, and one HDD slot, so there’s plenty of room to expand going forward. The catch? The laptop uses the Dell Graphics Form Factor (DGFF) for its GPUs, so you better hope a few companies offer graphics card in that exact format down the line or you won’t be able to upgrade the GPU either. It comes out January 29th, priced starting at $2,549. Yes, you can still use your Nintendo Joy-Cons while charging, but you’re stuck having to run single-player games instead of engaging in local multiplayer in titles like Mario Kart and Super Smash Bros. Basically, the party comes to a grinding halt until you can get those batteries recharged. 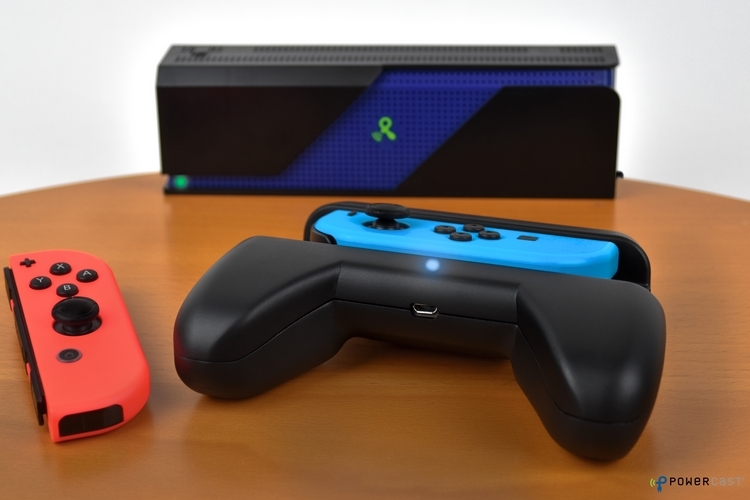 Powercast’s Wireless Charging Grips changes that by allowing you to charge each controller separately, so you can keep playing coop and versus games with your friends even while you’re charging. And yes, this is real contactless charging, with the grips housing a PowerHarvester receiver that accepts power over-the-air from a PowerSpot transmitter you have to plug in a nearby wall outlet. Do note, the chargers need to be within two feet of the transmitter at all times, so you can’t plug in by the TV and play all the way from the couch. Still, it’s an impressive tech that any Switch owner will likely welcome with open arms. No pricing yet, but it’s coming out later in the year. With board games experiencing a big renaissance in the past few years, many tech companies have been looking for ways to cash in on the trend. Gaming startup Wizama is looking to do it with SquareOne, a tabletop console that lets you play board games on top of a digital screen. That’s right, someone designed a tablet that can show different board game maps on the fly, which you can play on using the included tokens, cards, and dice, essentially combining both digital and analog play. 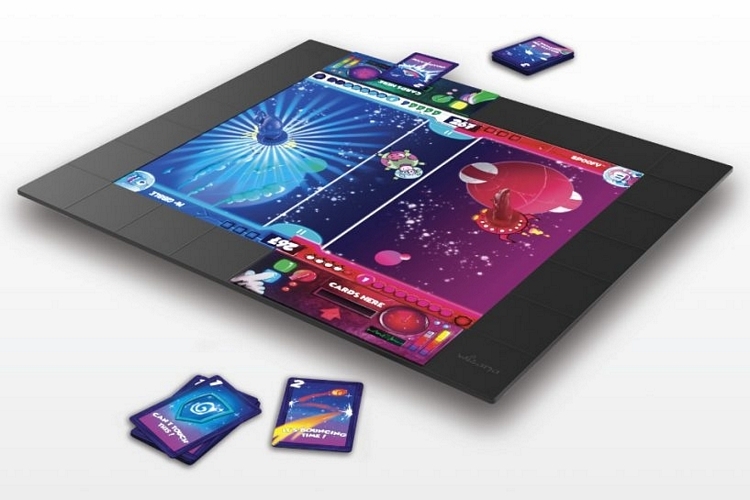 Even the bezel around the 19-inch touchscreen are parts of the playing surface, as they can recognize came cards and various game elements, making it feel like a real tabletop game. The dice, by the way, come with sensors and radios, allowing it to relay to the console the result of each physical roll, all without requiring any charging. And yes, they plan to make plenty of additional accessories for their games, including different dice, buzzers, cards, and toy figures, so you’ll still have plenty of physical elements to the games you play. It’s slated to come out in the summer, priced at $500. 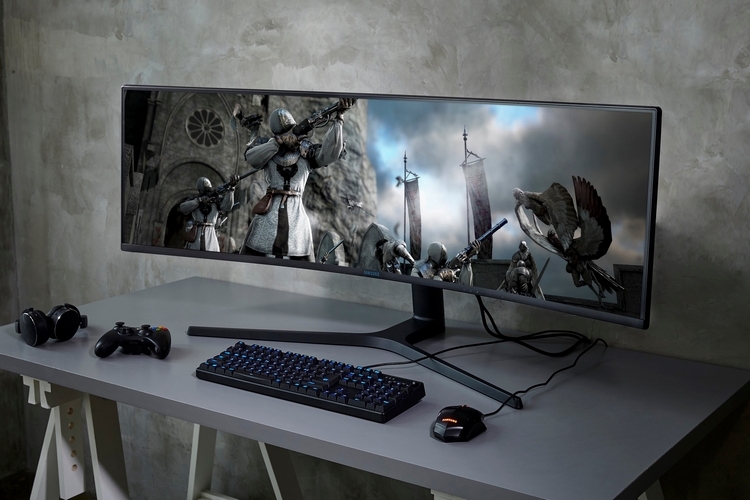 Samsung’s 49-inch gaming monitor combines an ultra-wide profile with a curved shape, making it an eye-catching centerpiece for any gaming setup. A 4120 x 1440 resolution and a 32:9 aspect ratio should make for some seriously immersive gaming, while a downright impressive 120Hz refresh rate and 4 millisecond response time should ensure accurate images while playing even the most fast-paced games. It also fully supports the HDR10 standard, so it should deliver excellent contrast and color accuracy. Needless to say, you’ll need a really good GPU to take advantage of everything this monitor has to offer, but we imagine you already have that covered if you’re even considering something like this. 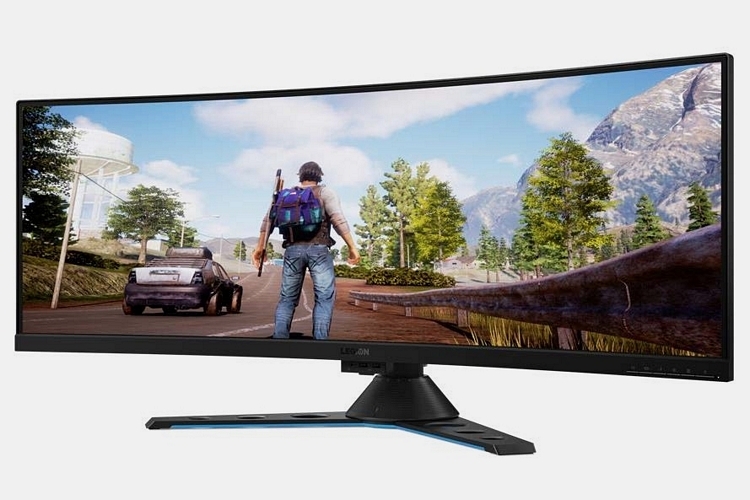 If you prefer something a taller than the CRG9’s 32:9 aspect ratio, Lenovo’s gaming monitor offers a similar curved ultra-wide profile at a 32:10 aspect ratio. 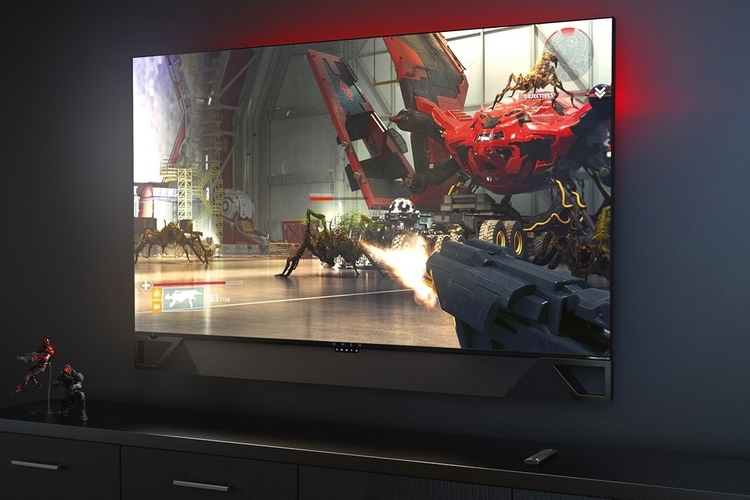 The 43.4-inch display has a resolution of 3840 x 1200 pixels, a speedy refresh rate of 144Hz, and support for AMD’s Freesync 2, as well as support for side-by-side and picture-in-picture inputs, in case you’re one of those gamers who enjoy stream-sniping streamers (or if you just want to watch something while working through a game). Slated to debut in April, the Lenovo Y44w is priced at a premium $1,200. If you prefer a more traditional display for gaming, Lenovo’s 27-inch monitor delivers 1440p resolution while refreshing at a frequency of 240Hz, making it the first monitor in the market at this resolution to deliver such a high refresh rate. Anyone who wants a monitor both for gaming and creative tasks should definitely give this one a look, as it also delivers a response time of under one millisecond, over 90 percent of the DCI P3 color gamut, and support for Nvidia G-Sync. It also comes out in April, priced at $1,000. 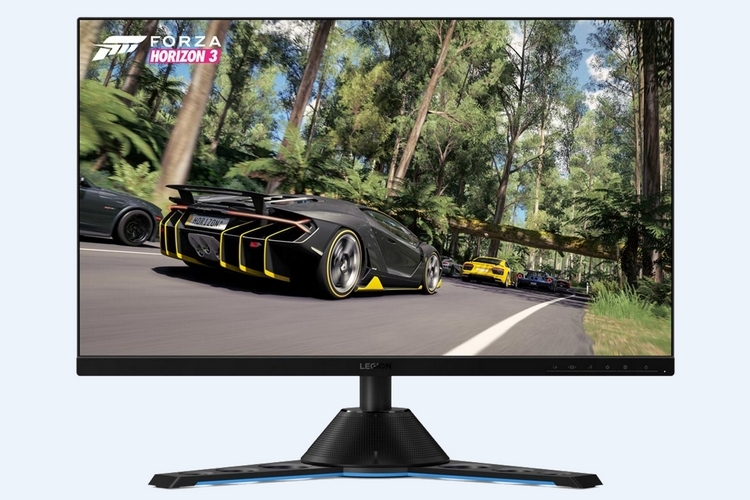 Prefer gaming on a gigantic screen? Well, your dream comes true this year, with HP unveiling the first Big Format Gaming Display (BFGD) at CES. Called the HP Omen X 65 Emperium, the 65-inch behemoth delivers 4K resolution, a 144Hz refresh rate, and full Nvidia G-Sync HDR support. It has a built-in Nvidia Shield, so you can access Android apps and the Google Assistant natively from the display, with the option to add an integrated soundbar for a complete audiovisual experience. Officially the first BFGD in the market, the Omen X 65 Emperium hits shelves in February, priced at $5,000. If you keep up with audio gear releases, chances are, you’ve heard a lot of good things about the Audeze Mobius planar magnetic headphones. 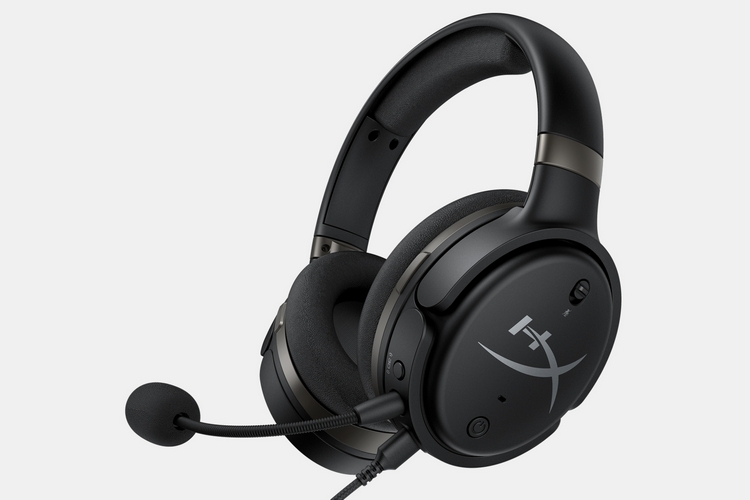 Well, the HyperX Cloud Orbit Headset takes those cans’ hi-fi audio tech and integrates it into a full-fledged gaming headset. We know, Audeze already has a gaming headset in its own lineup, but HyperX’s experience in gaming-focused accessories should help them create something that may be better tailored to the gaming crowd. According to HyperX, their version of the headphones are fitted with a better microphone, warmer tuning, and smaller planar magnetic drivers than the Audeze’s 100mm units. Despite the smaller drivers, the outfit claims the sound stage remains impressively wide, ensuring you still enjoy the same three-dimensional audio and sound localization that made the original so attractive to gamers. It comes in two flavors, the standard Orbit and the Orbit S, with the latter adding head tracking technology, so sounds remain in the same position even when you turn your head, with three wired connectivity options: USB-C, USB-A, and 3.5mm. 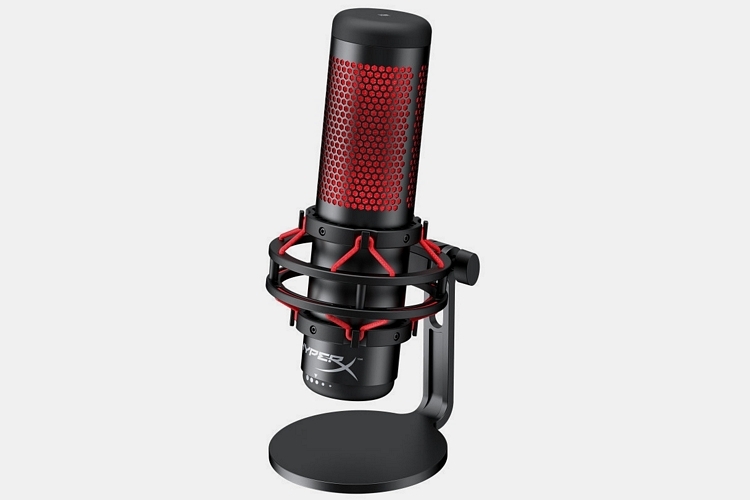 Designed for game streamers, this microphone gets its name from the four selectable polar patterns that allow you to specify the angle from which it captures audio. That way, you can isolate exactly the kind of sounds it picks up, whether you want it focused strictly on your voice or along with your keyboard-and-mouse action clicks. It’s not an XLR mic, so there’s no need to have a mixing board in your setup, requiring you to simply plug in to your computer and hit the power button to get going, making it great for novice streamers just getting started. Features include a tap-to-mute capability, LED notification (so you’ll know the active polar pattern), and a three-meter cable, so you can have the actual streaming PC sitting a short distance away. It comes out in March, priced at $140. 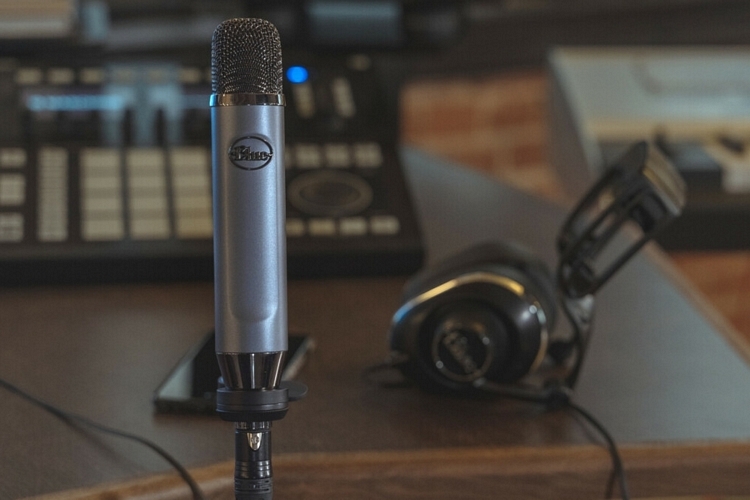 Designed for gamers who want to step up their audio streaming to the next level, the Blue Ember is fitted with an ever-reliable XLR connector – the same one you’ll find in professional studio production gear and high-end headphones. 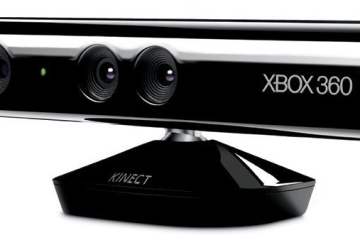 It’s been tuned with a tight cardioid pickup pattern, which focuses on the sound directly in front of the mic in order to minimize any ambient noises in the room, while a streamlined form factor should help minimize its onscreen presence, ensuring the focus is directly on you (or the game you’re playing). Given the quality of the outfit’s other consumer-grade mics, such as the Yeti and Snowball, we definitely have high hopes for this rig. It goes on sale in February, priced at $99.99. Yes, you can plug most standard PC keyboards and mouse on the Xbox One and have them work right out of the box, allowing you to enjoy your favorite FPS with better controls than what analog sticks can afford. The Razer Turret, however, offers some advantages that might make you want to use it as a first option instead. 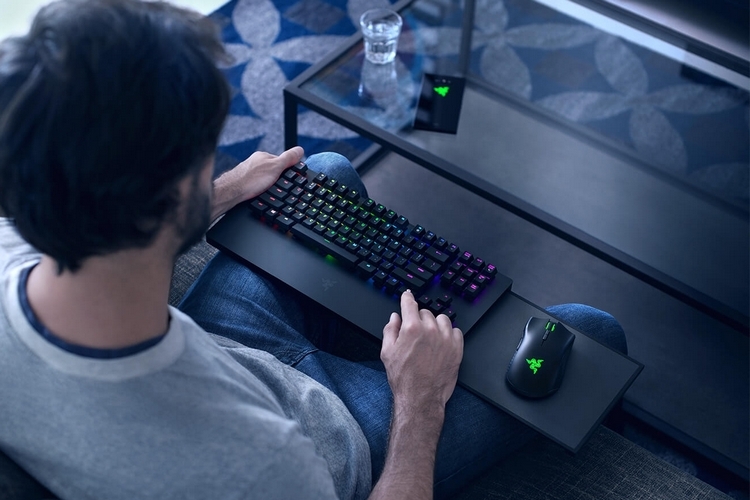 For one, the mouse-and-keyboard combo uses just a single cable, freeing up more ports on the console for charging controllers, while a slide-out magnetized tray on the right side of the keyboard gives you an instant mouse pad, making it possible to use the peripherals even on the couch. 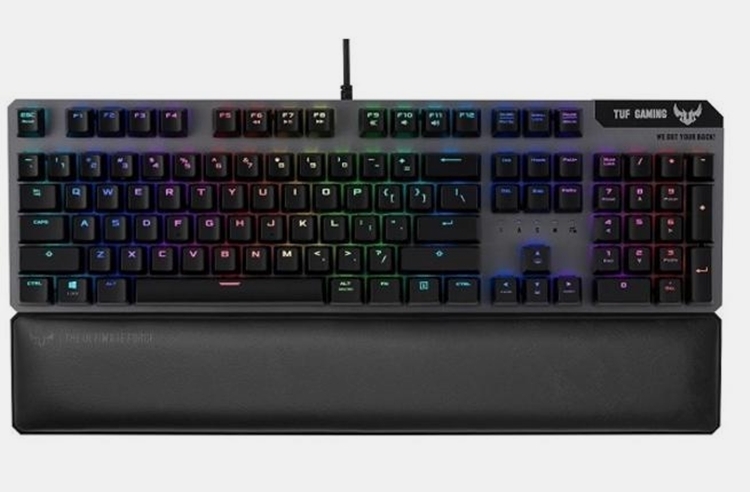 The keyboard replaces the usual Windows key with an Xbox key, which works similar to the center button on an Xbox controller, while both peripherals come fitted with the outfit’s Chroma lighting because gamers like colorful lights or something. Price is $250. 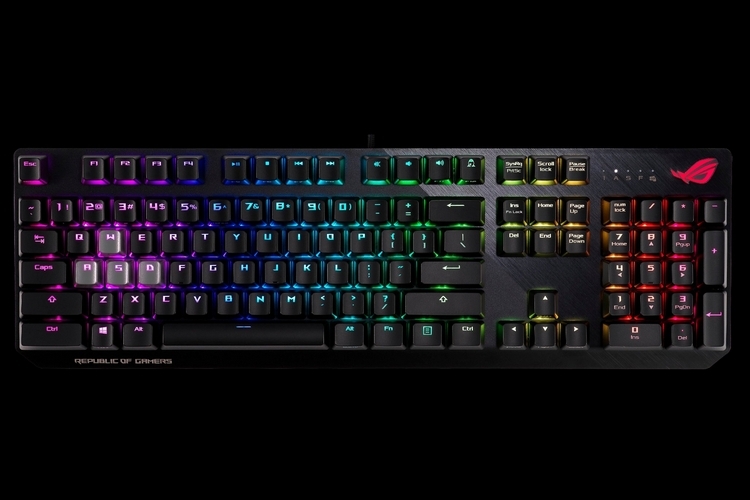 An erstwhile standard mechanical gaming keyboard, it looks and works much like any similar product in the market. There’s those loud Cherry MX switches, colorful backlighting, and a full-sized number pad on the right-hand side. Unlike them, though, it has an oversized Ctrl key, making it easier to tap if you find yourself playing lots of games that use it as a central gameplay control (in many FPS, for instance, CTRL usually leads to crouching or proning). 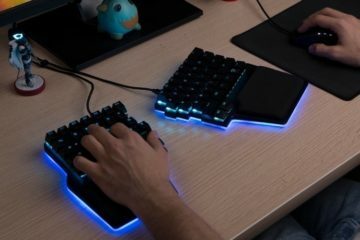 A gaming keyboard that uses opto-mechanical switches, the peripheral promises faster actuation, near-instantaneous switch response time, and the kind of durability that mechanical keyboards just can’t offer. To the unfamiliar, opto-mechanical switches use tiny IR beams beneath each key, registering presses as soon as the IR light is interrupted, as opposed to waiting for two metal points to come in contact with each other. 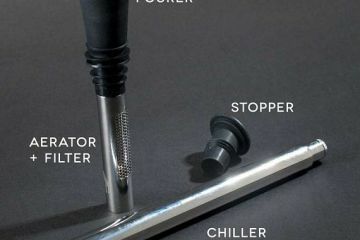 It comes in two flavors, linear and tactile, with the former allowing quiet operation and the latter being accompanied by loud, clicking sounds, similar to a regular mechanical keyboard. Construction is all-aluminum, with a closed housing that’s IP56-rated to resist dust, dirt, and water. It comes out later in the month. Clad with an aggressive design, this wired gaming mouse is designed for larger hand sizes, allowing for a full palm grip to, so you can rest your whole hand on the peripheral. It has a ridiculous 18,000 DPI resolution, which you can adjust by one DPI increments, for ultra-accurate tracking, while seven programmable buttons allow you to map custom actions to make them easier to execute. There’s also onboard storage, so you can save your settings right on the mouse, then take it with you to competition without having to make any adjustments. 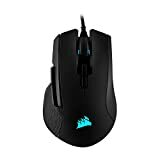 With both Logitech and SteelSeries both releasing wireless gaming mouse peripherals during the past year, we were expecting Corsair to bring something similar to the CES floor. 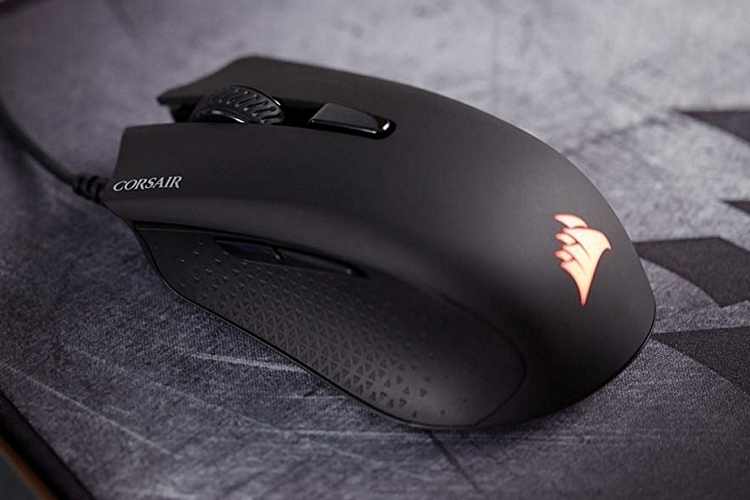 Well, they did in the form of the Harpoon RGB Wireless Mouse, which promises a latency of less than one millisecond when paired with the included 2.5GHz dongle, allowing you to play games with the same responsiveness as a traditional tethered mouse. And yes, you can still connect via USB, as well as over Bluetooth if you prefer it that way. It has a rather standard contoured shape sporting rubber grips on the sides, with six programmable buttons, Omron switches rated at 50 million clicks, and a 6,000 DPI resolution. The battery, by the way, can keep it running for 30 hours straight with the RGB lighting switched on and 45 hours without it. It comes at the end of the month, priced at $49.99. Nvidia RTX 2060 GPU is more powerful than the 1070 Ti! The specs and pricing on the Nvidia RTX 2060 are awesome. I see the best pricing is on Amazon. A few years ago a GPU this powerful being sold for this little would have seemed impossible. I can’t wait to see what Nvidia comes out with over the next few years. Alienware is often so close to making a great laptop, but they always flub it up somehow. I don’t want a DGFF as the GPU in my computer. 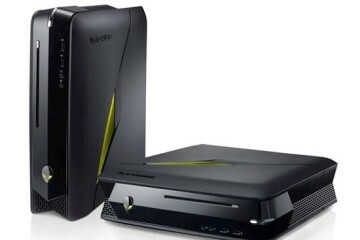 There are better alternatives, but Alienware designed it so most of them won’t work. If I am spending $2,600 on a gaming laptop, I shouldn’t have to be looking to replace the GPU. Actually the Powercast Wireless Joy-Con Charging Grips was literally my least favorite thing. I love my switch and frequently play Mario Kart and Super Smash with my husband. We’ve never run out of battery. Even if we did, this seems so uncomfortable. Part of the awesomeness of the joy con, at least for me is how small it is. This is just bulky and cumbersome. I can see me loosing a race from just having to adjust to using this. Every person I know who owns a Switch has the batteries running low constantly on the Joy-Con. Small grips make my hand cramp up. I much prefer a bulkier grip. I bet your husband has larger hands so it may help him out some. He does have larger hands, but he’s never mentioned any discomfort yet. I’ll try to ask without asking directly, then surprise him later with it if he likes it. Thank you! I’m not a gamer but my son is. He bought a Corsair Harpoon RGB Wireless Mouse. He was one for the weekend and my mouse quit working so I borrowed his. It is the most comfortable mouse I have ever used. When he got back I told him it was now my mouse and I had ordered another one from Amazon for him. Best Buy had them in stock, but the price was much higher than Amazon. I don’t see how Best Buy even stays in business when Amazon is consistently so much cheaper. 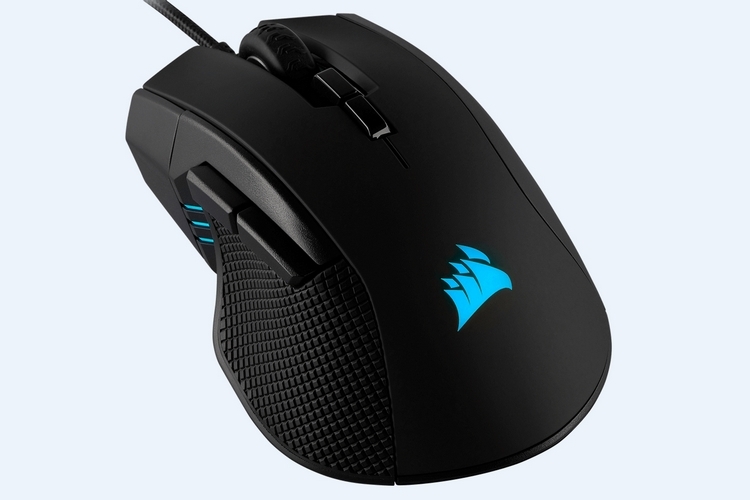 Click on the link below for the Corsair Harpoon RGB Wireless Mouse and then call Best Buy and ask them for the local pricing for the same mouse, and you’ll see what I mean. Just so you know for next time, Best Buy does price match Amazon as long as it is shipped and sold by Amazon. They stay in business because people want things today verses a minimum of two days from now. Plus they have their mobile section which is always crazy busy in my local store. Yeah, Best Buy will usually price match, but still, prefer Amazon. There return policy is much easier to deal with. I also dislike the scamming that the Best Buy Geek Squad was dong by intentionally lying to customers and charging them for repairs that were not needed. Amazon is far from perfect, but much better than Best Buy. The Blue Ember XLR Mic would be great for a lot of Youtubers. I like the pricing of the Blue Ember XLR Mic, but for an extra $30 or so you can et the Yeti mic and it will allow you to change the pickup pattern. If you ever plan on interviewing someone else on your channel then the Yeti will be a better microphone for you. The Yeti has the cardioid, bidirectional, omnidirectional & stereo patterns you can choose from which makes it much more versatile. There are a lot of cheap mics, so it is nice to see that the Blue Ember XLR Mic comes with the XLR mic. Do your research on mics and then buy it off of Amazon. Many new video creators will skimp out and buy a cheap mic, and then they are disappointed by the quality of it. If you do your research, you will be better off. Buy it from Amazon, so if it doesn’t meet your needs you can easily send it back to them and get a different one that will meet your needs.